Getting Married in the family chapel where you were raised and you attended your friend’s and cousin’s baptisms is so 2000-late! Where is the pizzazz? How is that going to beat all your friend’s Instagram pics? Well fret no longer! 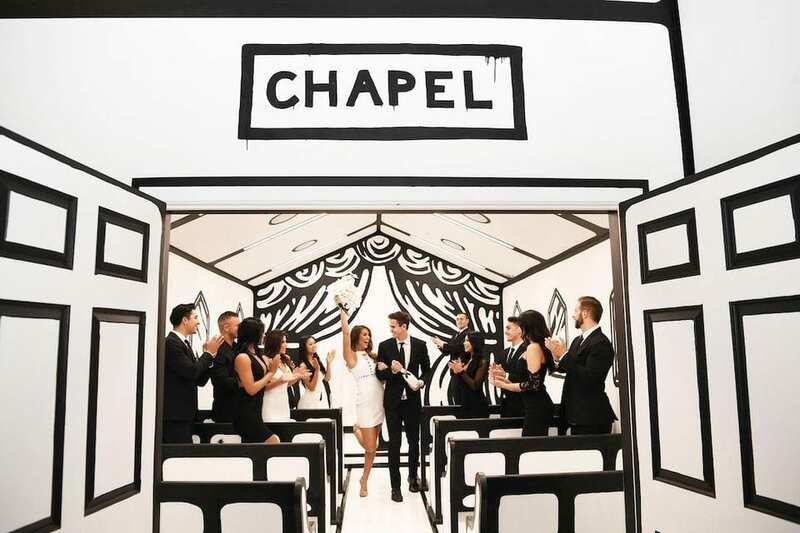 Once again, Vegas has come to save the day with it’s newest Wedding Chapel! 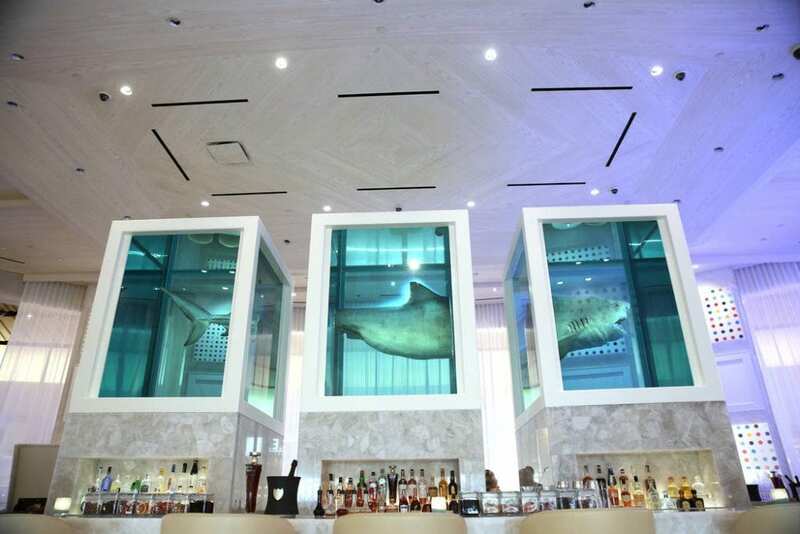 It’s no secret that The Palms has been undergoing a spectacular renovation (a $620 Million Transformation to be exact) from the new valet area, to all the original artwork from famous artists, there’s always a fabulous place for a quick photo op! Yes, this is a real shark. We asked. Get ready to break the internet! 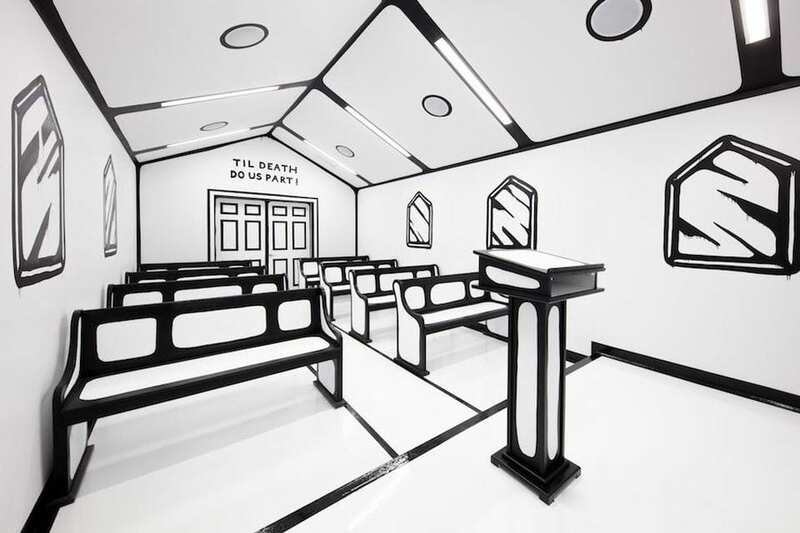 The 800 square-foot chapel is designed and painted in Vide’s signature style called “Reality To Idea”. It’s simple, its stunning, it looks like you’re tying the knot in a Keith Haring piece. One thing is for sure, this chapel is making it’s way across the web. With how popular its been in the past 24 Hours, we’re sure you’re going to have to start planning your wedding pretty quickly! This Pop-up is only open through Spring! So hurry up and get Festive!